Highest Point Festival is organised by the team that brought about A Wing at Lancaster Castle and the sell-out Hacienda Classical show. Inspired by the team’s close friend Chris Glaba, who sadly passed away in 2016, the festival works closely with Macmillan to raise funds for them on site and via Skiddle. We spoke to Jamie Scahill to find out more about how the festival started and what’s in store this year. Musical adventures in beautiful parkland. First up, tell us a bit about yourselves - what’s your festival background? I’ve been involved in club nights since I was 18/19 so getting on for 25 years. I run a club night called Funkademia which has been going for 23 years now, so I’ve always been involved in the music industry, club nights and DJing. My first festival was Ramsbottom Festival about eight years ago. I got together with a couple of partners - one was involved in the theatre in Manchester, the other ran an event management company and I had the contacts on the music side. I ran that for two years, and it’s still going as Head to the Hills now, then I stepped away as I’d taken it as far as I could. So that was my first dip into organising a festival, but I’ve DJed at a lot of them. Used to play for the Bacardi B-Bar at V Festival and Oxygen in Dublin, and things like that. I know what works, what doesn’t and what’s interesting for festival-goers. We’re also heavily involved in Wicker Man in Scotland and run the dance village there. Were there any particular brands or events you’ve taken inspiration from over the years? Highest Point is more of an urban event, but the park it’s held in lends itself to a festival really well. I’ve really enjoyed Festival Number 6 and been quite a few times and Glastonbury, some of the smaller, little stages where it’s more personal I’ve always enjoyed. The festival has got to be interesting to people with areas to stumble upon, otherwise it’s just a big gig. But you don’t need to go huge if the atmosphere is done right. How did Highest Point Festival come about? I’m Head of Marketing at Skiddle and along with Rich, one of the owners of Skiddle, and a friend called Chris Glaba, we started doing parties at a disused prison in Lancaster. It had never been used for that kind of thing before, and we used to take it over every bank holiday weekend for three days. We booked acts such as The 2 Bears, Pete Tong, James Zabiela, Derrick Carter and would sell it out. 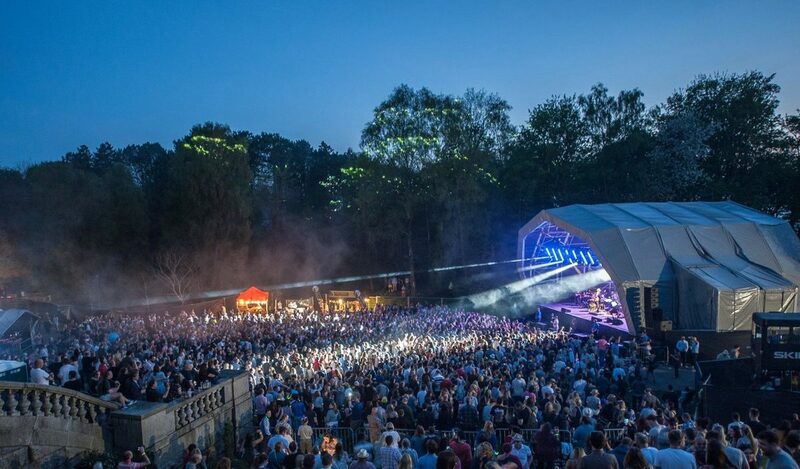 We did that for three years, and built a bit of a buzz in Lancaster, so got offered a Hacienda Classical outdoor gig when it first started. 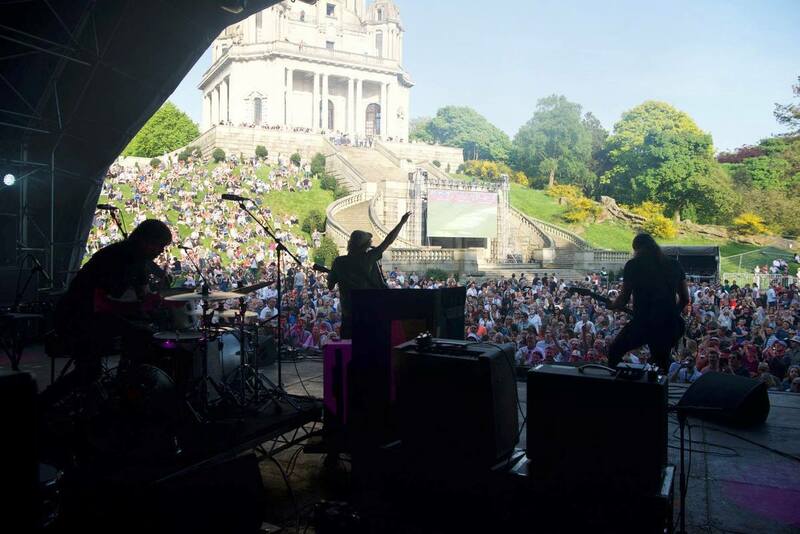 We needed a space to put it on and the council suggested Williamson Park, and we sold that out to 4,000 people. Sadly Chris died of cancer in 2016, but he loved festivals and wanted to do one in that park, so Rich and I carried on working to put on the first Highest Point last year while raising money for Macmillan Cancer Support. How would you describe the aims of Highest Point Festival? We work really closely with Macmillan and via Skiddle we’ve raised more than £200,000. A lot of that comes from customer donations on the checkout at Skiddle. We also have a BBC Introducing stage because Chris loved his up-and-coming and new bands – he was always coming to us with these crazy-named bands – so called it the Chris Glaba Memorial stage. It started as a bit of a legacy festival, and we’ve kept it going, but Chris is at the heart of it because of the history between the three of us. Tell us about the stages and areas - what’s the need to know information for festival-goers? Well the park is in the centre of Lancaster – it’s got the Ashton Memorial in it which you can see if you drive along the M6. Lord Ashton built the memorial for his wife, and gave the park to the people of Lancaster a long time ago. It’s a beautiful park, with massive lakes and very hilly, which isn’t perfect for festivals - but we make it work. The main stage is on the paved area where the Ashton Memorial is, which is quite a unique setting for a festival. 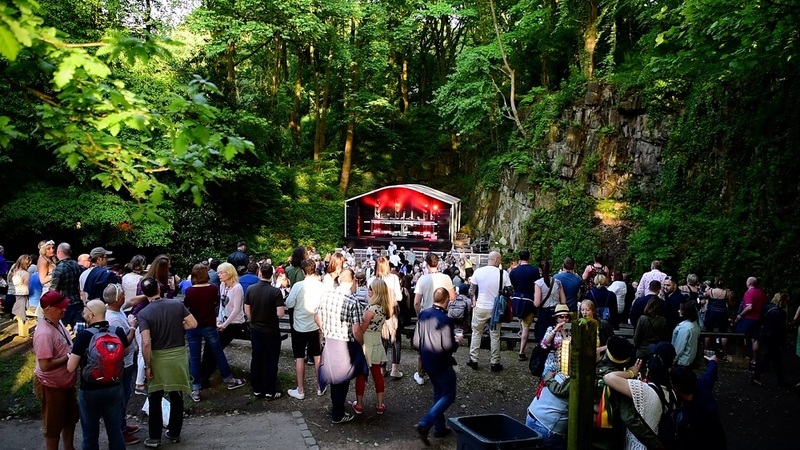 The Dell is where we have a lot of the DJs, which is like a sunken down amphitheatre in the woods which we use for cinema and theatre shows by day then turn it into a little rave cave in the woods. The BBC Introducing stage is on the other side of the Ashton Memorial, then we have a stage by the lake which was a waterfall beer hall with craft beer and DJs last year. This year it’ll be run by Gin and Disco. Then we have the Sun Dial stage behind the main stage near The Dell. A raised area when the sun goes down in front of you. We had a silent disco last year, this year we’ve got drum and bass DJs on the Friday and a local club night on the Saturday. Why the name Highest Point Festival? Simple – the top of the Ashton Memorial is the highest point in Lancaster. What’s been the most exciting element of putting the festival together so far? When you see people walking around at the festival with a smile on their face, it’s a different league. You put blood, sweat, tears and a lot of money into a festival but there’s no guarantees it’s going to resonate with an audience. But when you see people enjoying themselves it makes it all worth it. Who were you most proud to get booked for this year? Sister Sledge for me. Running Funkademia, we play Sister Sledge every week and I had ‘Thinking of You’ as my wedding song four years ago. It all felt right getting them to play. Who are you most looking forward to seeing? On the BBC Introducing stage, I suggest checking out Twisted Wheel and Cabbage. General Levy in The Dell will be unbelievable on Saturday afternoon with Dynamite MC and London Elektricity. What advice would you give to people thinking about coming to Highest Point Festival? Bring your walking legs because it’s a bit hilly, and come with an open mind. Come early doors, there will be bands on from 11am and it’s good to show that support to the early acts. Everybody’s started somewhere. Finally, if you had to sum up Highest Point Festival in five words, what would you say? 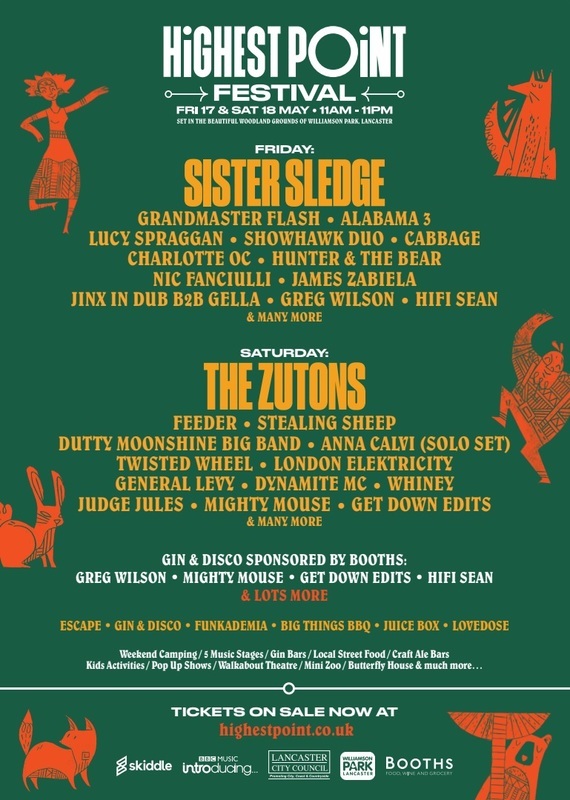 Highest Point Festival returns to Williamson Park in Lancaster on Friday, May 17th and Saturday, May 18th. For tickets and details go to highestpoint.co.uk.